Tired of pests in your home or office? Marks Pest Control Parramatta provides the best pest control solutions all across Parramatta. Protect your valuable home and commercial property from pest attacks. We have qualified, fully licensed, and trained specialists for pest control treatments. Our affordable pricing enables you to go pest free without spending a hefty amount. Marks Pest Control is known for its reliable customer service, exceptional pest control solutions, and guaranteed customer satisfaction. Call us for free quotes! Are you facing pest problems in your office or shop or any other commercial property? Come to Marks Pest Control as we deliver the best range of commercial pest eradication services in Parramatta. Our prices are too good to be real and with that we offer guaranteed results. Our commercial pest management team has handled pest problems in offices, bars, kitchens, hospitals, schools, shops, restaurants in past two decades. We provide affordable pest disinfection services in all areas of Parramatta. This service targets at disinfecting your property from the pathogens left behind by pests, which can lead to various diseases. Pest disinfection leads to healthy and safe environment. Rats, rodents and mice have been known to co-exist alongside humans since the dawn of civilisation. Rats will promote an unsafe and unhealthy home environment and will compromise your home hygiene. Rat infestation can cause severe problems and damages to your home and belongings. Rats will contaminate your food sources and cause many dangerous diseases in turn. Mark’s Pest Control will provide you with the best Rat Pest Control Service for you in Parramatta. We have developed an advanced method for eradicating, catching and removing rats from your home. Hire our rat pest control service at affordable costs today and get rid of rats within 24 hours. 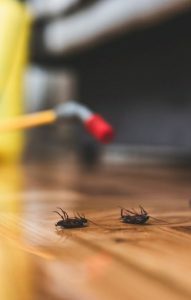 Why Choose Marks Pest Control in Parramatta? We are locals of Parramatta and a family-run business.